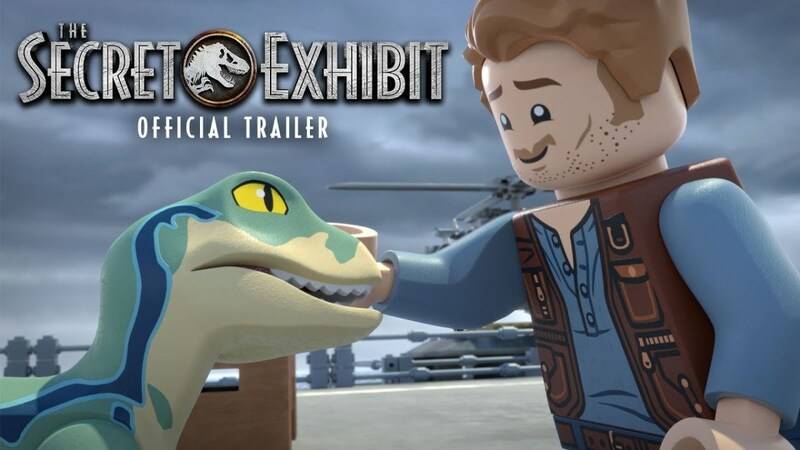 LEGO has joined forces with NBC and Universal Brand Development for the two-part animated special LEGO Jurassic World: Secret Exhibit. The special, which airs November 29 on NBC, also released a trailer, showing all the show-stopping dino adventures we love mixed with that unique brand of LEGO humor. You can check it out in the post below! Secret Exhibit takes place before the adventures of Jurassic World in 2015. In the special, Simon Masrani has an idea for a new attraction that is guaranteed to keep Jurassic World at the forefront of theme park entertainment. It’s the greatest thing since the discovery of dinosaurs, but in order for it to succeed, he needs his right-hand can-do problem solver, Claire Dearing, to get a trio of dinosaurs across the park to the new, super-secret exhibit. Reluctantly teaming up with newcomer Owen Grady, the animal behaviorist she hired sight unseen to deliver the dinosaurs, the duo set out on a fun-filled adventure across the island. Unfortunately, delivering the dinosaurs to the new attraction is not as easy as they thought. The two-part special will be available to stream the morning after the NBC broadcast across multiple platforms, including the NBC app and NBC.com, where it can be viewed without a login, as well on Hulu and On Demand. It will also be available for download from major digital retailers. The home video release, which comes with exclusive bonus content, will drop on January 15, 2019. LEGO Jurassic World: Secret Exhibit airs November 29 on NBC.